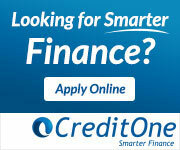 We are not experts in finance, leasing, foreign exchange or insurance. That is why we have formed relationships with the following companies, leaders in their fields, so we can provide a one-stop shop to our customers. CreditOne offer a complete range of personal and business car finance options from more than a dozen of New Zealand’s best lenders. They do the legwork for you, delivering the lowest overall financing cost – not just a good looking payment. European Car Imports can also help with transit finance if needed – please ask for information. Autosure New Zealand has been a leading provider of automotive-owner protection policies for the NZ retail motor vehicle industry since 1986. As Autosure Approved Dealers we are able to offer Mechanical Breakdown Insurance and car insurance suitable for quality European Cars such as those that we help to import. XE for your foreign currency transactions. Naturally you want to make sure you get the best exchange rate for your car purchase and the money gets there easily and safely. XE give the control back to you. You can lock-in a rate now for delivery today so know exactly how much will arrive at the destination. CreditOne take the hassle out of looking for the best car loan rate comparing all the options for you, taking away the need to deal with a multitude of lenders and hence saving you time, money and hassle. 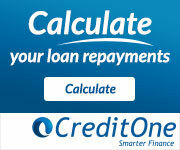 Click on the banners below to calculate your loan payments or apply online in seconds. Please ask for more information on leasing options available. As approved dealers we can offer you Autosure Mechanical Breakdown policies designed to help protect you and your vehicle against the cost of sudden or unforeseen breakdown. Autosure policies offer the most comprehensive cover available. Please ask for a quote and ensure your purchase is protected. Car insurance can also be provided. Summary of Electric vehicle policy. Great service by Lincoln and Sally, they found and delivered to my specific wishlist I’m very very satisfied customer! Their approach is simple and hassle-free with great communication to match. I would highly recommend anyone in the market for a car to contact them immediatelyJedda Jakicevich, 2008 BMW 335i Wagon.